This is a simple and delicious Japanese inspired salmon recipe. It can be served with grilled vegetables or a salad. Combine marinade ingredients in a small bow. Place mixture on the flesh of salmon fillet and let sit for 5 or so minutes. 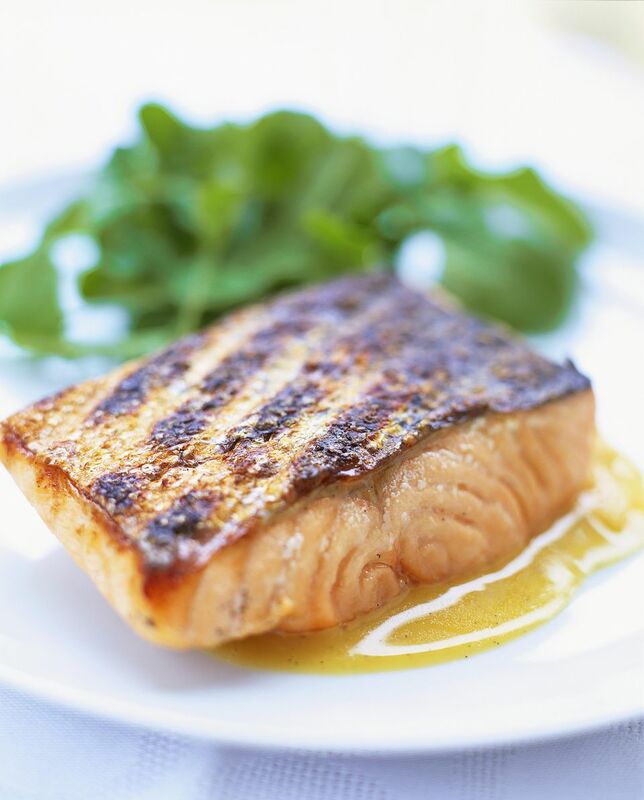 Place salmon on a well-oiled grill grate, skin-side down, and cook for about 12 to 14 minutes (or until internal temperature at thickest part of fillet reads 145 F). Once cooked through, remove from heat and serve.